From a production standpoint, red wines play second fiddle to the near-unanimously popular whites in the world of Northern Michigan wine. According to a crop inventory conducted by the USDA that was completed in 2012, the acreage on which riesling grapes were grown in Northern Michigan eclipsed the combined acreage of Northern Michigan’s three most popular reds—merlot, Cabernet Franc and pinot noir—at a tally of 485 acres to 350. Nevertheless, Northern Michigan red wine is gunning for first chair, in spite of the fact that naysayers will always appeal Northern Michigan’s moderate, white-wine-friendly climate as an obstacle reds must overcome. Northern Michigan’s relatively cool, short summers generally mean the bold flavors of world-class reds do not have the time or sunlight to develop on the vines of Leelanau County and the Old Mission Peninsula. The irony, though, is that Northern Michigan is located near the same latitudes that run through northern Italy and southern France—two regions in which some of the world’s best red wines are produced. Thus, certain variables that are critical to grape cultivation, such as sunlight and season length, are identical in Northern Michigan and southern Europe. For this reason, the allure of reds has been irresistible to daring vintners. The results have been nothing short of remarkable. While many area vintners admit that Northern Michigan will never produce the flavor-packed reds that have made Bordeaux and Burgundy famous, Northern Michigan reds are bringing home some serious hardware at international wine competitions. 2012 was a particularly productive year: record-breaking summer heat and increasingly nuanced growing practices translated to some seriously powerful reds. As mentioned, Cabernet Franc, merlot and pinot noir form the foundation of Northern Michigan reds. Other red varieties like sangiovese, gamay, pinot meunier, malbec, nebbiolo, lemberger (or blaufränkisch, if you prefer), and syrah are popping up in the blends of more experimental winemakers. Follow the links below for interviews with winemakers who focus on producing Northern Michigan red wine. Consider it the riesling of Northern Michigan reds. As the most abundantly cultivated red varietal in Northern Michigan, pinot noir has enjoyed success similar to its relatives, pinot blanc and pinot gris, which are also grown in Northern Michigan. 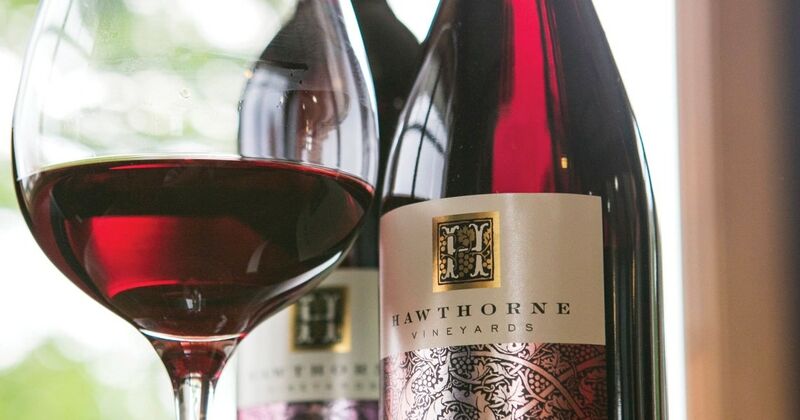 Pinot favors cooler climates and mineral-rich soils, which allows it to thrive in the vineyards of Leelanau County and Old Mission, delivering a delicious complexity unique to our land. 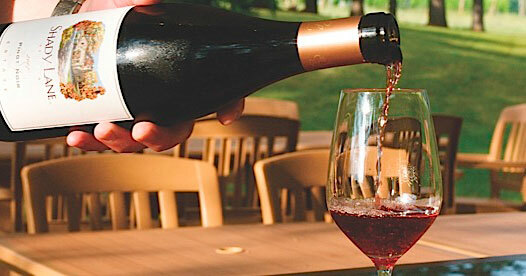 Expect flavors of red berries and spices, and check out Black Star Farms and Hawthorne Vineyards for choice pinot noirs. Behind pinot noir in production in Northern Michigan is Cabernet Franc, which is known for its violet and blackberry aromas.